We at Bushindo University are dedicated to building a better world through self mastery by strategic education and united action. 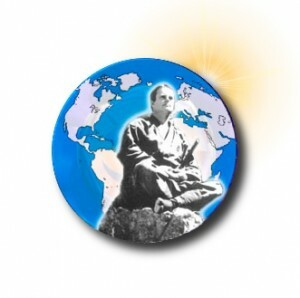 We offer every person access to the information they need in order to properly study how to better their lives using the Jeweled Wheel of life teachings in every format possible, whether that be physically one on one, in group sessions, camps, books, video, web sites, home study courses or exotic training’s in exotic places. We are here to provide an open door to a great adventure and a wealth of information that changes peoples lives. We’ve done our best to become the definitive Source for Personal Transformation training information anywhere in the world. We are always open to your comments and suggestions on how to serve you better. We are in the process of securing an full time teaching experiential University with indoor and outdoor facilities that would be open year round for University Degree training and retreats. Let us know if you are interested in attending or helping us build it. The Bushindo™ System was founded in order to integrate my 35 years martial arts knowledge, my experiences with spiritual awakening teachings including Kriya Yoga from a Himalayan master, and 25 years Body-brain-mind research including being a NLP Master Trainer into the passion that drives my life. A simple theme “Make it Better”. Also my heart and the passion that drives my life is the integration of the philosophical and spiritual sides of the sacred temple arts. I am very interested in seeing how far a group of individuals can evolve ourselves as human beings. The studies of brain-mind research, yoga, kundalini research, sound and light activation of consciousness, meditation practices, body healing methods and alternative medicine are foremost in my personal dedication now. Therefore, Bushindo™ as a University was born. And these teachings extracted from the best of the best will be yours very soon.